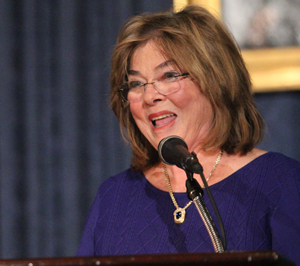 Since 1982 the Philadelphia-based American Catholic Historical Society, the nation’s oldest society dedicated to the preservation of American Catholic history, has been presenting its annual Commodore John Barry Award. Recipients of the award named for the area’s most distinguished Revolutionary War hero constitute an honor roll of distinguished Catholics from Philadelphia and the nation. This year’s award was unique in several respects. The honorees were the chief officers of the Connelly Foundation, a charitable foundation based in Conshohocken that was established 59 years ago by their late parents, industrialist John Connelly and Josephine Connelly. Josephine C. Mandeville, who is the foundation’s CEO and president, and Emily C. Riley who is the executive vice president, are every bit as publicity-shy as they are generous, as were their late parents. 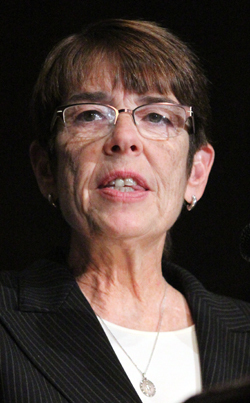 It was considered quite a coup for the ACHS to convince them to accept the award given Nov. 21. Part of the persuasion was appealing to the proud heritage of the Connelly clan, especially exhibited by the singing of the Irish National Anthem (in Gaelic) at the onset. 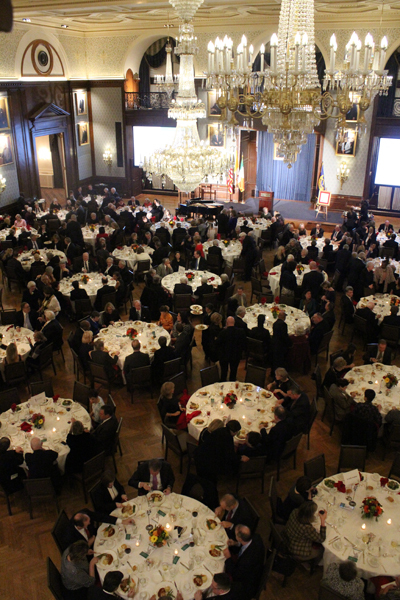 As in most years, the award dinner was slated for the Lincoln Room of the Union League of Philadelphia, a historic treasure in itself. 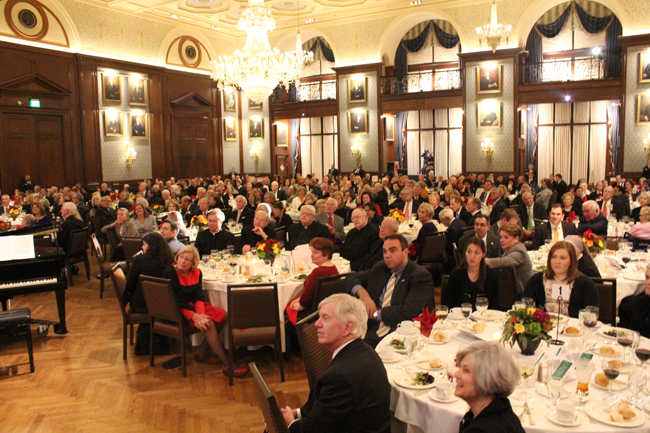 However, for the very first time, the number of people wishing to honor the awardees was so great the dinner spilled out into the adjoining foyer and library, with officers and honorees scattered around the three participating large-screen televisions. Master of ceremonies for the event was the immediate past president of the ACHS, Rodger Van Allen, and current president Michael Finnegan presenting the awards. Sister of Mercy Mary Scullion, a past recipient of the Barry Award, gave the presentation speech. Although the Connelly Foundation is best known for its financial support for Catholic education, it was Project Home, an outreach program to homeless people founded by Sister Mary and Joan Dawson McConnon, that received the very first grant after John Connelly began turning direction of the foundation over to his daughters. 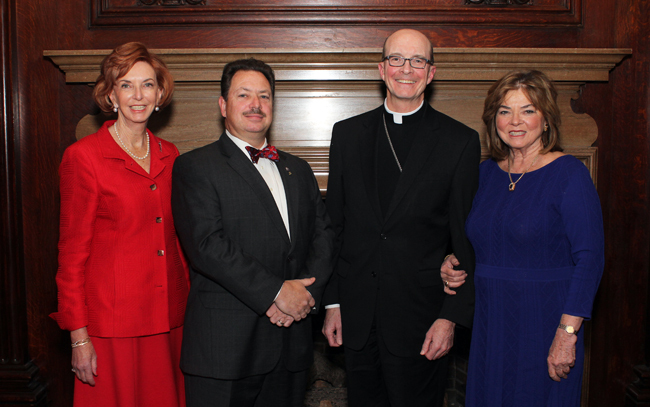 “John and Josephine Connelly started the Connelly Foundation moved by their deep Catholic faith with a goal of sharing their abundance earned by John’s incredible business acumen, for enhancing the quality of life for the people of the Delaware Valley,” Sister Mary said. She recalled that first visit to Joan McConnon and Sister Mary in 1989, how the sisters went back to their father and told him the wonderful work they were doing, and how he agreed to the grant. She called to mind one of the rare times their father did accept an award, and that was in 1980 from the Anti-Defamation League. “He didn’t talk about his business successes or wide travel, but on how blessed he was to have met and been influenced by so many men and women of good character of all faiths who despised bigotry of any type and whose charitable actions had made a difference in their communities,” Riley said.